I made good time driving up from Massachusetts. After parking at the hiker's lot on Rt 302 near Zealand Rd, I managed to start out on my hike by 7:15 AM. It was only about 8 degrees F when I got out of the car, but I knew it was going to warm up considerably as the day wore on. 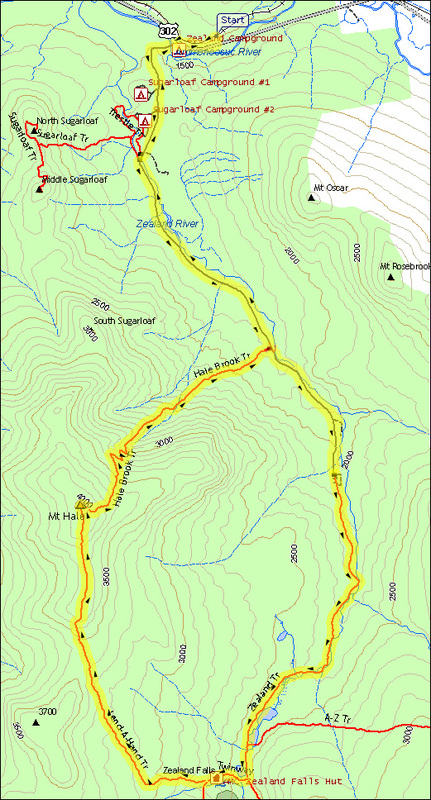 My plans were to follow Zealand Rd to the Hale Brook Trail, climb Mt Hale, and then, if both the snow conditions and my energy level were satisfactory, to descend via the Lend-a-Hand Trail to Zealand Falls Hut, and then return on the Zealand Trail and Zealand Rd. The first part of the hike down Zealand Rd was on a mixture of bare asphalt and patchy snow. Just after I walked around the locked gate by the Zealand Campground, an empty logging truck turned the corner from Rt 302 and stopped. The driver got out, unlocked the gate, drove through it, got out and relocked the gate, and then drove by me. I had to get completely off the road to keep out of his way. After the stench of truck exhaust dissipated, it was rather pleasant walking down the road, which after an initial hill, was pretty flat. About a mile into the woods, I reached a second locked gate where the main road crossed a bridge over the Zealand River. The logging truck route veered off to the left at this point, and the rest of Zealand Rd was covered with hard packed snow. About another half-mile further, I met a cross-country skier going the other way. He was toting a harnessed sled behind him with all his equipment on it. I'm not sure where he said he had been. 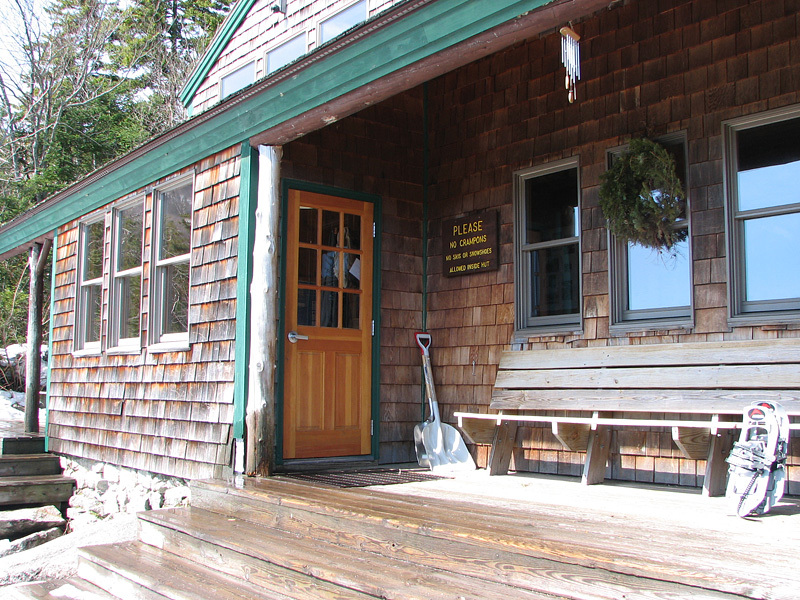 When I reached the Hale Brook Trailhead, I stopped to put on my snowshoes and left the nicely-packed road behind. 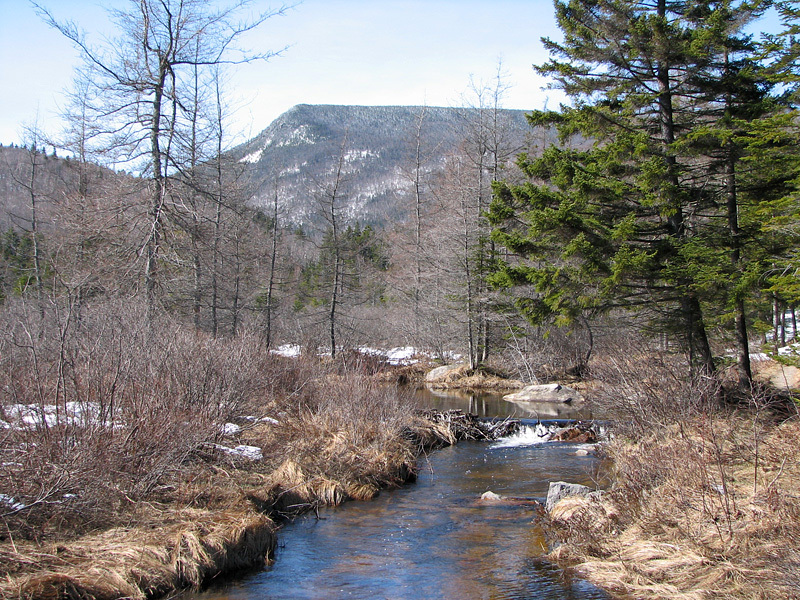 A short distance beyond the trailhead, the trail crossed a small brook over a snow-covered footbridge, and then wound its way slowly uphill through a mostly-open birch forest. As is usual on winter trails, a narrow "balance beam" of snow was packed hard by snowshoers, while everything off to the sides was posthole territory. 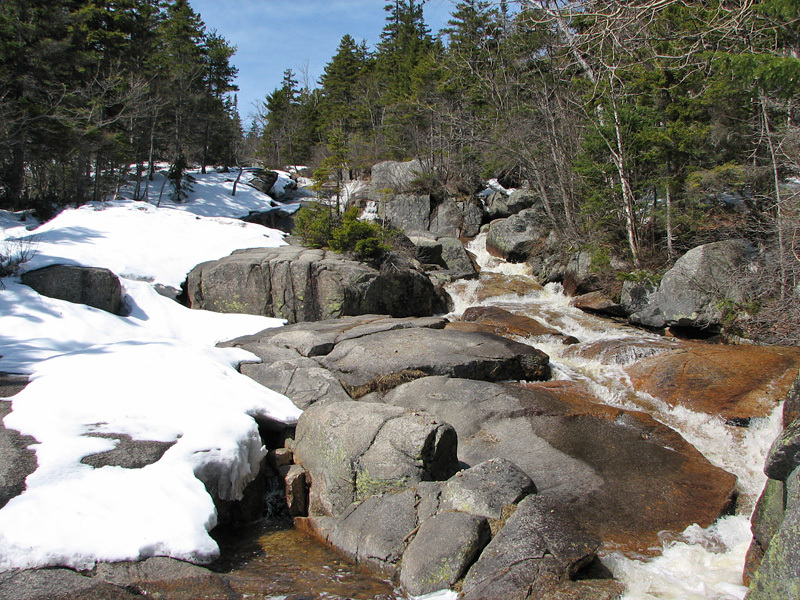 All went well until I came to the section of the trail that traversed the steep side of the Hale Brook ravine. I had to slow down considerably and pick my steps carefully as the footing was rather precarious and the packed footway tended to angle downhill. I didn't want to end up at the bottom of the ravine. At the end of this section, the ravine petered out and the trail crossed to the other side, with some limited views east to Mt Washington through the trees. Zealand River. About a mile from Rt 302, Zealand Road cross a bridge over the Zealand River. The logging trucks turned off just before this bridge. Zealand Road. After crossing over the river, the road was gated again. After the gate, it was all hard packed snow. 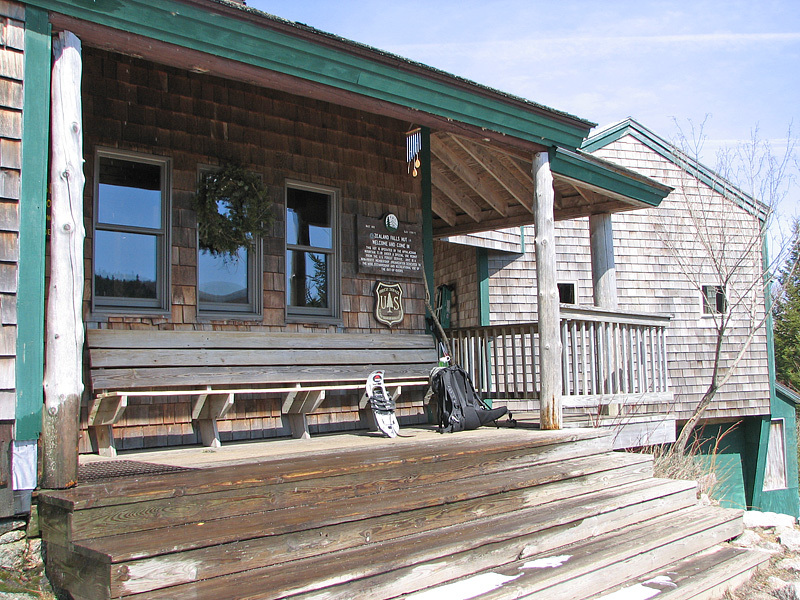 Hale Brook Trailhead. This trail leaves Zealand Rd 2.8 miles from the parking lot on Rt 302. Mt Hale is visible through the trees behind the trail kiosk. Brook crossing. 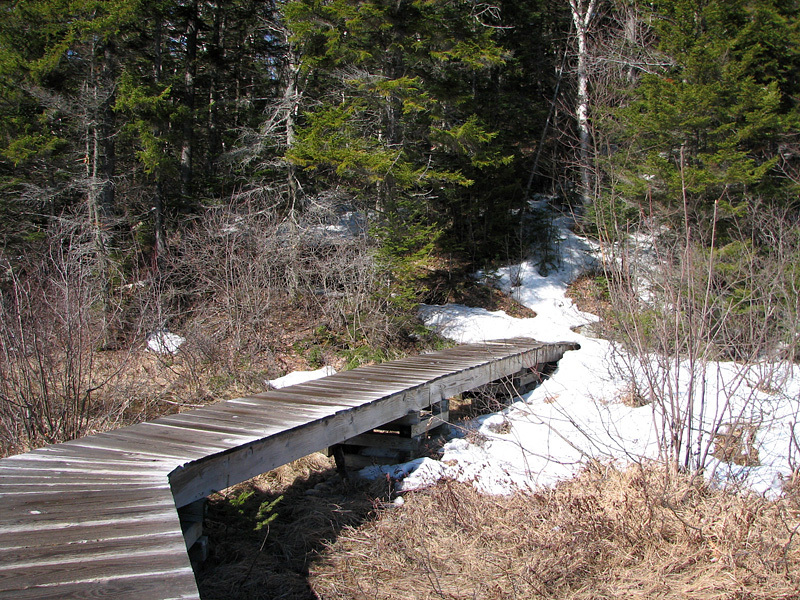 A short distance beyond the trailhead, the Hale Brook Trail crossed a small brook over this snow-covered footbridge. Open woods. Past the brook crossing, the trail angled upward through mostly open woods. Mt Washington. 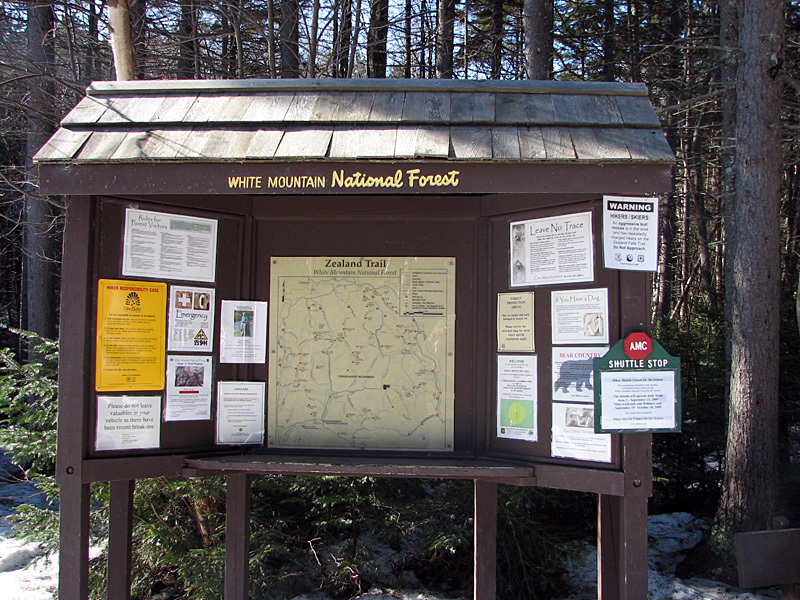 After passing through a section with precarious footing, the trail crossed over to the other side of the ravine, with a view back through the trees to Mt Washington. Zealand Falls. 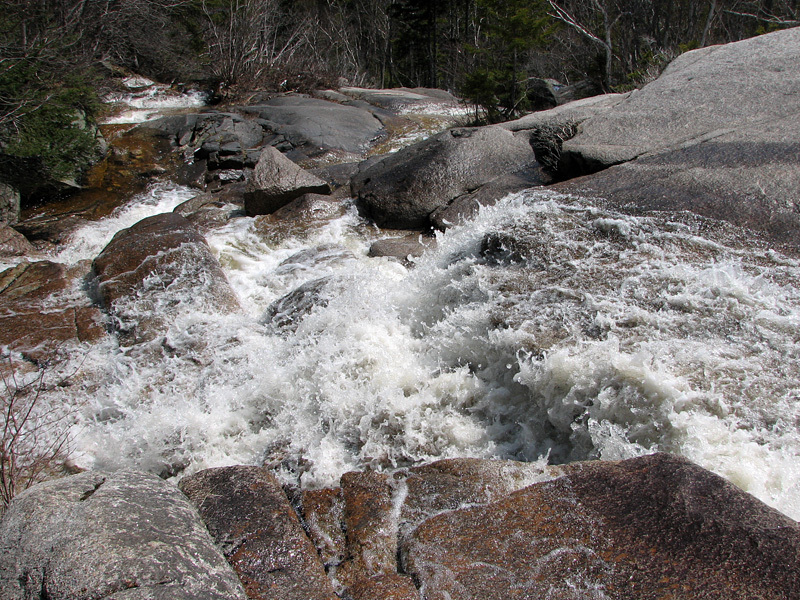 The first photo shows the falls looking up from the viewpoint near the hut. The second one is from the same spot but looking down. 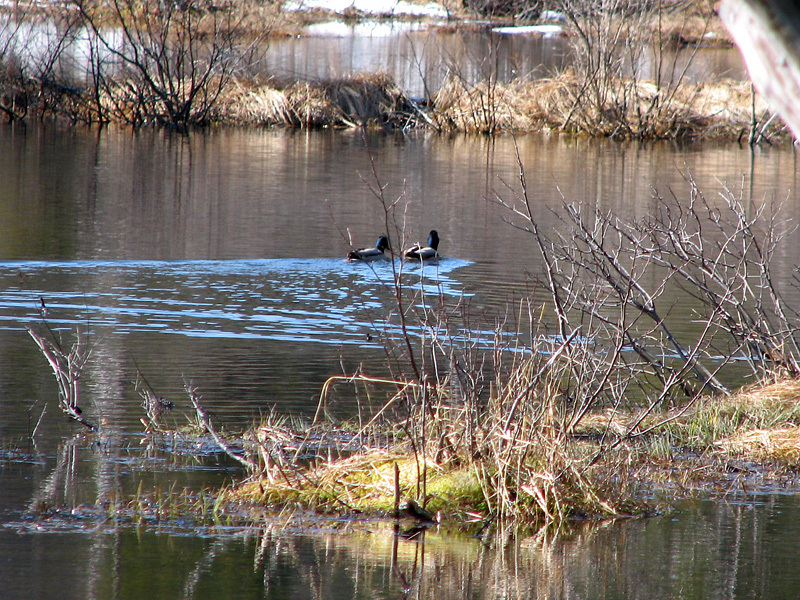 Even with the snow still on the ground, it was nice and warm in the sun. 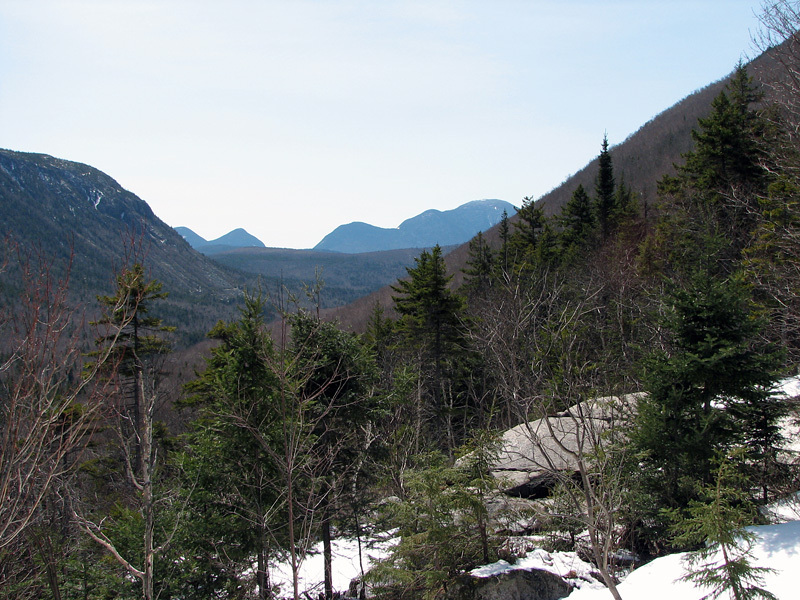 Zealand Notch and Whitehall Mtn with Mt Carrigain in the distance. Spring has not come up into the mountains yet!